A relatively new and still very much expanding idea, these hubs are not to be confounded with cyber cafes. Instead, these hubs represent much more than that! They are an internationally networked platform whom allow their members (young entrepreneurs, students, hackers…) to penetrate into the ICT world and build connections with the hubs partners (Recognised companies,Governments, international Universities) interested in building connections and knowledge exchange between entrepreneurs. "These range from incubation and training spaces like MEST Ghana to co-working environments such as ActivSpaces in Cameroon, and community spaces like the Co-Creation Hub in Nigeria.There are now more than 50 tech hubs, labs, incubators and accelerators in Africa, covering more than 20 countries. In Nairobi, we have six." (Eric Hermann, 2012). It is where Business + Academic + Programming and Design communities all come together under one roof, making something that is greater than the sum of their parts. Several of these independent hubs and incubators moved to collaboration on March 3rd 2010 joining forces at the iHub launch in Nairobi. 'Each of the labs shares in a common vision to promote technology as a platform for entrepreneurship on the continent. 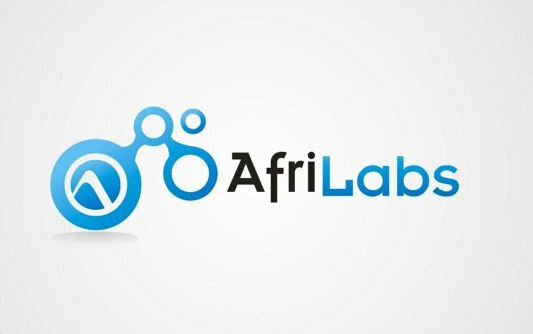 The labs have a lot to gain by working together and it was in this thinking that AfriLabs was born. By working together the labs improve their chances of success, generating more success stories and decent work for young Africans, both as a means of self-employment and as job creation for others'(AfriLabs.com, 2012). Hubs in General: The creation of internet hubs and general ICT access such as Zamnet, born in the University in Zambia, NaiLab, iHub etc..., allows students, teachers, and people in general the opportunity to acquire knowledge, basic news, courses, and benefit from unbelievable wells of knowledge worldwide. 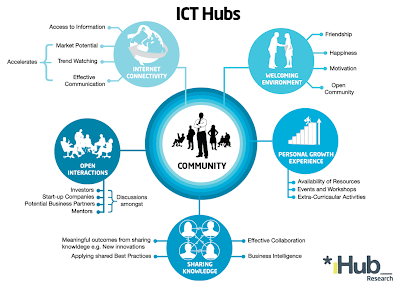 These Hubs as individual entities take the access a step further by collaborating with companies, and giving youths a mode of connecting and becoming part of projects as well as creating their own.They are a sort of ICT watering hole if you will. Education and Employment are ways of fighting poverty, and these internet HUBs are a way of increasing access to it as well as linking individuals potential to wider audience-more global. Additionally, the fact that these hubs/incubators are built ground up, and hence controlled from the field allows for an insight of the culture, possibilities, and financial strains/needs that may not be recognised as efficiently otherwise. Lastly, the collaboration AfriLabs only goes to strengthen the individual hubs potentials for sharing and building ideas. This association builds on the hubs opportunity to reach a greater audience, sets a stronger image/stand on African ICT, as well as allows hubs to collaborate on more important projects, while learning from each others mistakes as well as achievements. The concept behind AfriLabs is a wonderful one, for its goal of promoting the growth of information technology in the continent, specifically sub-Saharan Africa. The idea of linking labs to achieve synergies has been around for a long time, and a number of scientific breakthroughs could be attributed to such collaboration. However, cooperating with IT labs on a continental scale is an idea that deserves to be successful. The achievements of this project could, one hopes, help push similar initiatives in other parts of the world that have not yet been able to develop sufficient critical mass for IT entrepreneurship as well as research and development. One of the members of AfriLabs is the ICEaddis university hub, based in Addis Ababa in Ethiopia (www.iceaddis.com), which promotes itself as an "innovation hub, incubator, co-working space". We can now see new global tech hubs that are fast growing. This is a blog about educational technology news shared by the students in the course of Prof. dr. Frederik Questier in the Educational Sciences programme of the Vrije Universiteit Brussel. Can technology save the current state of writing? Interactive Whiteboards for the Smallest ! ?